To activate productive licenses, open the Cortado Enterprise Portal at https://enter­priseportal.cortado.com. If you're already a registered customer, enter your access data here (e-mail address and password (Illus. 694). In Enterprise Portal you can get an overview of your licenses, make activation and support requests and make application for non-binding offers to renew annual licenses or update and support services. You also have the opportunity to import and export your license keys for unattended licensing. End users can find their license keys in Customer View (Illus. 695). 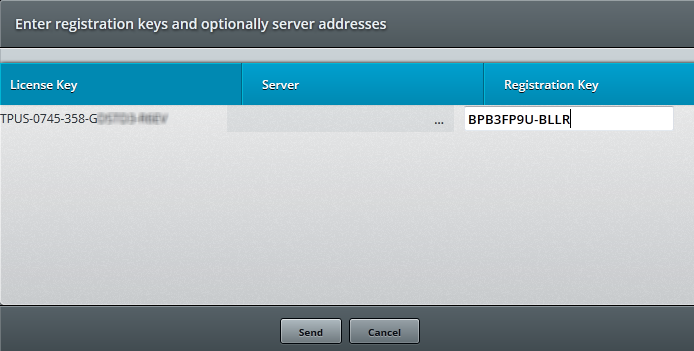 Select the licenses to be activated there (checkbox at left) and then click on the button (left arrow in Illus. 695). 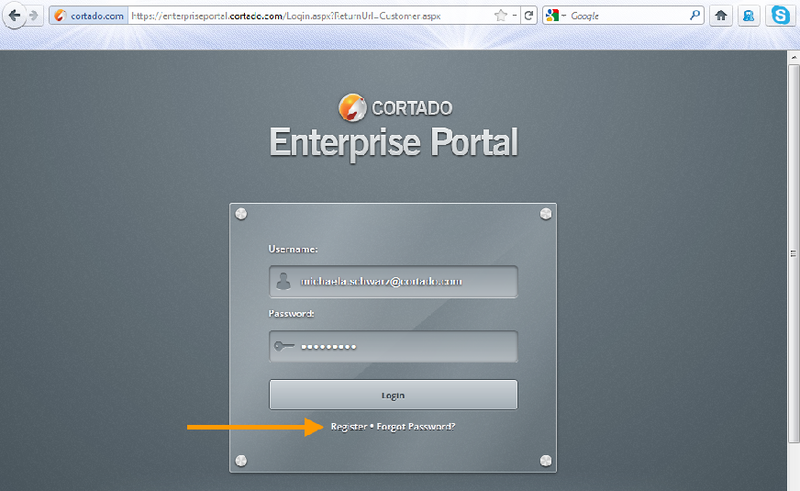 Then, the activation and subscription keys will be displayed in Enterprise Portal (right arrow in Illus. 699). Alternatively, you can create an activation file. Mark a license and click Copy→ All in the context menu (Illus. 697) and then paste the clipboard contents into a text file. Afterwards, you can import the contents of the text file into Enterprise Portal with a click on the button (see arrow in Illus. 698). See also Unattended installation of ThinPrint Engine components. 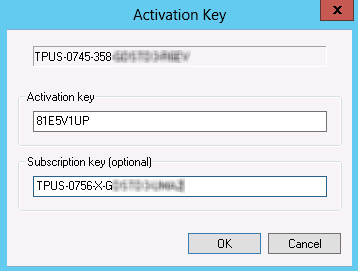 Then, an activation key and a subscription key will be displayed in Enterprise Portal (right arrow in Illus. 699). There you can also export the license keys in a text file (activation file) with a click on the button (left arrow), in order to add them to the license manager afterwards; for this see Multiple activations (activation file). – In License Manager, mark a license key to be activated. Select Activate in the context menu (Illus. 700). – A window opens, in which you can enter the activation key (Illus. 701). At the same time, you can enter the subscription key. Once you confirm your entry with OK, the license key (green) is displayed in License Manager with the activation key, and the Activated column shows yes. (Illus. 702). Following this activation, the license is valid indefinitely – the date by Valid until is omitted. You will also see the end date of your license subscription. As long as your license has a valid update subscription, you can download and install software updates from our website (see Initial installation of the subscription key). Laura is the author of this solution article.